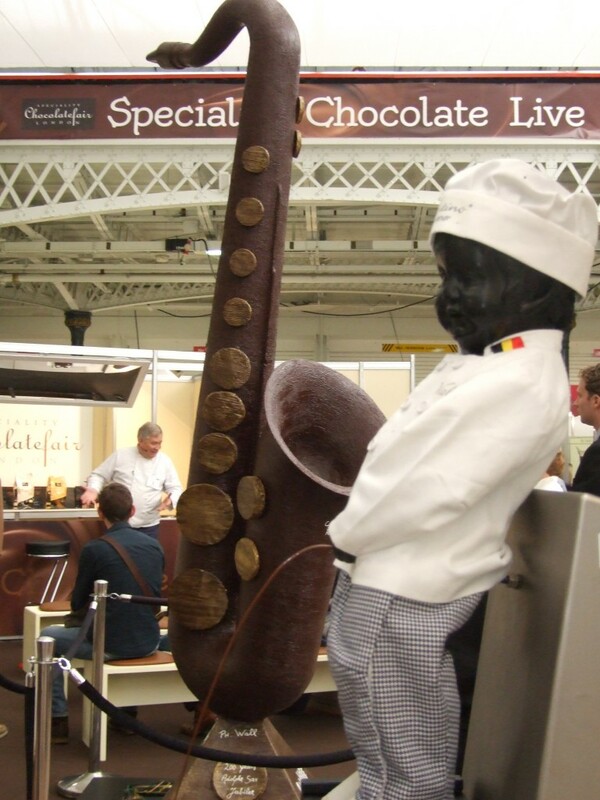 Adolphe Sax wants to meet you?? 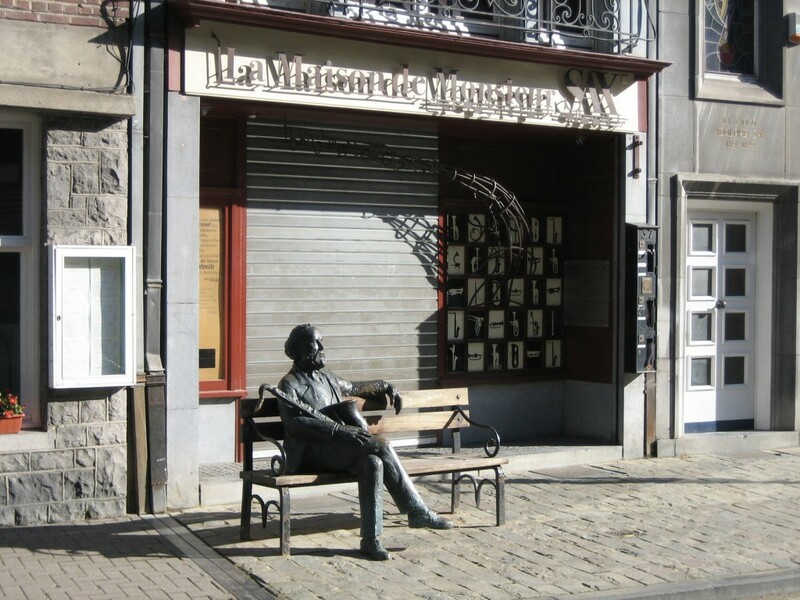 La maison de Monsieur Sax and there is the man!! There is a potentially great film coming out on the great James Brown. James Brown ‘did not read or write music.He orchestrated his band with instinct and he would often communicate with them through guttural sounds and pointing.To me thats music in its purest,truest form. ‘I learned something from James Brown which is follow your instincts no matter how many people tell you you are wrong..James Brown followed his instincts without pause that’s how he changed the world.’ ‘Tate Taylor. I saw James Brown at the twilight of his career playing Glastonbury and will always recall looking back towards the end of his set and there he was performing as the sun shone on the Tor behind him.Magic. 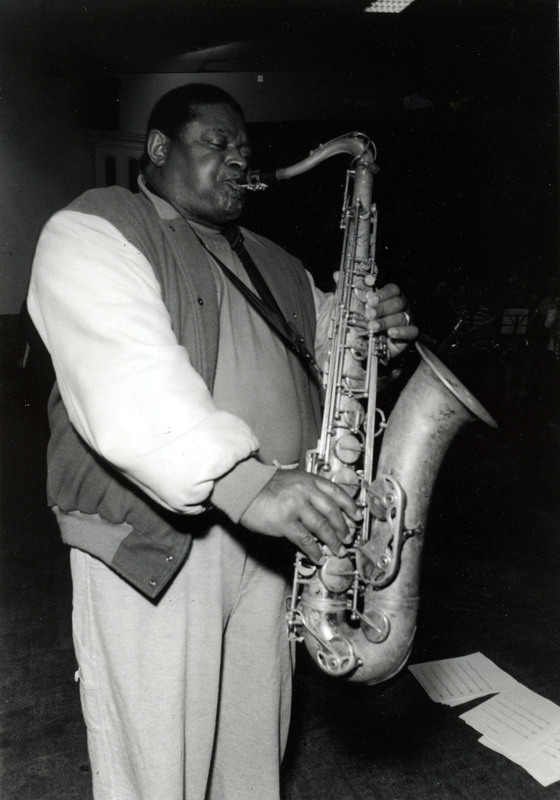 He had had many top musicans in his band amongst them Pee Wee Ellis who played at our Big Blowout World Record and wrote Cold Sweat with the legendary James Brown. 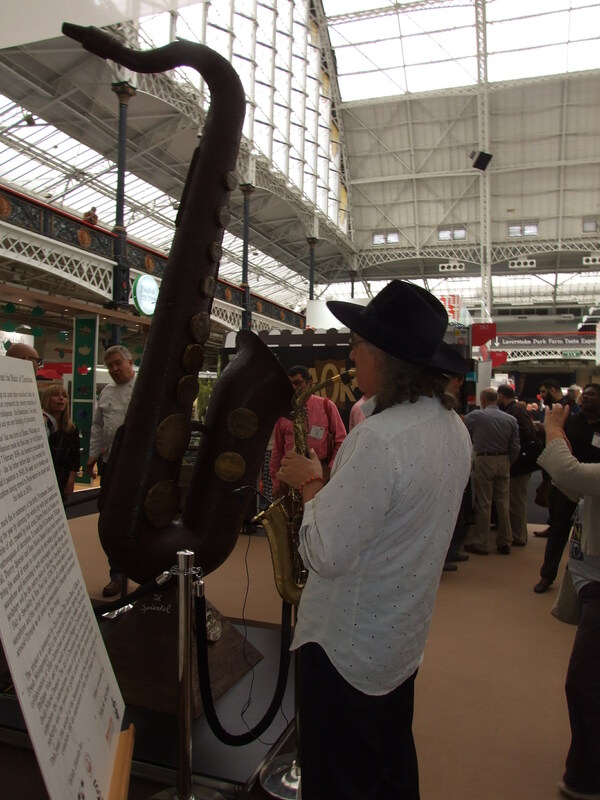 Blowout Sax playing next to the world’s biggest chocolate sax at Olympia Speciality Fine Food Fare 2014 in honour of Adolphe Sax 200th Birthday. 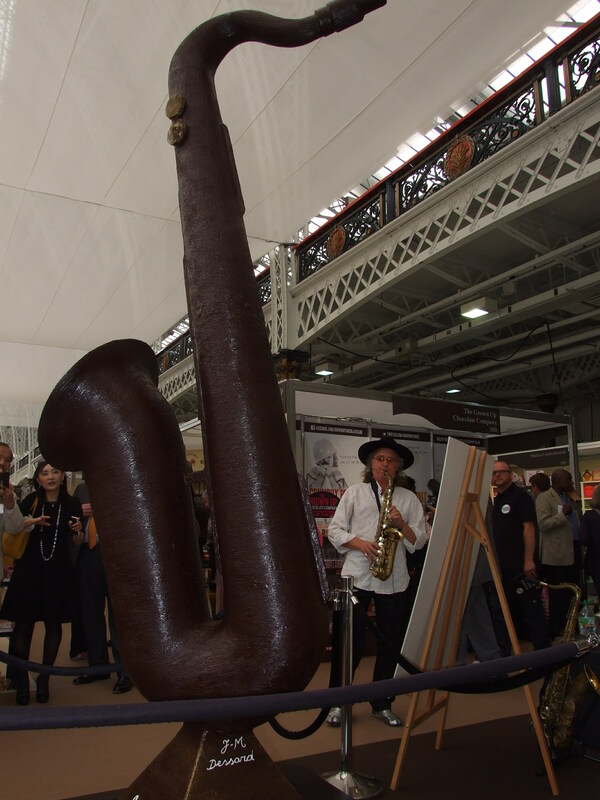 Yesterday on September 7th in honour of Adolphe Sax 200th birthday a new dear and brilliantly extroverted man Philippe Wall c0-created this and to honour its unveiling Mr Blowout Sax went to Olympia and played all of his own compositions from his forthcoming album.